The Geography of Sport is a topic close to my heart as it is the theme of my PhD research. Despite sport being a central theme of research in sociology, economics and anthropology, it has subject to little geographical research. However today’s reports into the “State of the Game”, considering the composition of professional English football teams by nationality and the debates regarding how you define who can play for the England national football team, have clear geographical themes. National identity has been widely discussed in the geographical literature in relation to migration (see, for example, Antonsich 2010 & Gilmartin 2008), and in this case the media and social media debates, have extended the discussion to migrant athletes. The “State of the Game” report, can perhaps be more directly deemed to be geographical. The report maps the countries from which footballers, playing in England, come from. The most significant finding is that, whilst English players do still play the greatest percentage of minutes of Premier League football, their contribution only accounts for less than a third of the total minutes played. The maps demonstrate that the Premier League truly is a global league with players coming from across the world to play in England. Football is a widely recognised as “Global Game” both in general culture and in academia (see Giulianotti 1999). So does geography need to progress and carry out more research dedicated to sport? 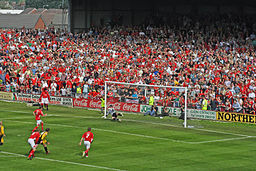 This entry was posted in Geography Compass and tagged Cultural Geography, Economic Geography, Football, Geography Compass, Geography of Sport, Migration, National Identity, Premier League, sport on October 10, 2013 by catherinewaite. In one way or another geographers have long been concerned and intrigued by ‘work’. Geographical research has looked at, for example, the spatial division of labour, labour migration and the relationship between labour and gender. However, it has recently been noted that “geographers have been avoiding work. At least as an explicit research topic, work has been largely absent from the geography agenda” (McMorran 2012). This apparent lack of geographical consideration is perhaps a little surprising given the contemporary changes to working practices that have been identified in the media. This week it has been announced that Yahoo! is to introduce measures to prevent employees working from home as the company believes that the interaction between staff in the office allows a more productive working environment. This move has surprised many given that Yahoo! are a IT firm and it is improvements to telecommunications and computing that have increased the ease with which people are able to work from home. Remote working is perceived to be increasing in popularity but its impacts are not well understood. Academic research has shown that those who work from home often receive smaller pay rises and fewer promotions. 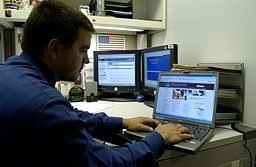 Questions have also been asked about the efficiency and work-output of those who work from home. Struggles to focus and concentrate on tasks are deemed to be an issue amongst remote workers and a University of Texas study has recently found that tele-commuters work an average of five to seven hours of week more than those who work in a normal office setting. These contrasting findings indicate that there is a need to undertake geographical research into these issues and this is highlighted in McMorran’s recent publication in Area on “Practising workplace geographies”. Geography as a discipline is well placed to study working practices by employing ethnographic methodologies and other participatory methods. These techniques will enable a true picture of working practices to be observed rather than using interview or survey methods that are reliant on employees’ views and information about their own work. This issue has also been subject to media scrutiny this week in the wake of research indicating that surveys regarding alcohol consumption under report the true level of consumption in the UK. This raises questions about the general reliability of data collected in the course of research. Therefore, these two contrasting media articles both demonstrate how geographical research has a role in investigating significant contemporary issues. 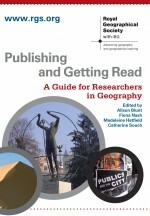 In these cases it also shows that it is not only the subjects which geographers are researching that are important but also the methods and the techniques which are being used to do so. This entry was posted in Uncategorized and tagged Chris McMorran, embodied labour, Social Geography, Surveys, teleworking, workplace geographies on March 8, 2013 by catherinewaite. 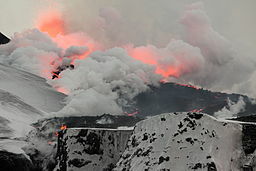 In the spring of 2010 the global media was dominated by stories of disruption as a result of the eruption of Icelandic volcano Eyjafjallajökull. Despite being a significant volcanic eruption, the direct consequences of this event were never really a matter of life or death given the comparatively remote location of the volcano. However, Eyjafjallajökull’s eruption will be remembered due to the world-wide disruption that ensued. In the week following the eruption over 95,000 flights were cancelled and 10 million passengers were stranded (Adey et al. 2011). This relationship between these stakeholders is demonstrated in today’s ruling at the European Court of Justice regarding compensation claims made to airlines following the eruption. This case brings together members of the public, airlines, national and European justice systems and others such as the hotels, restaurants and firms whose business was affected by the disruption. Consequently the significance of geography to this story is clear. The eruption itself will obviously be subject to geographical study but geography as a discipline is also well suited to study the short and long-term impacts of this event as well as considering solutions and mitigation methods to prevent disruption of this scale happening again in the future. This entry was posted in The Geographical Journal, Transactions of the Institute of British Geographers and tagged amy donovan, Ash Cloud, Atmosphere & Biosphere, Ben Anderson, Clive Oppenheimer, Environment and Society, Eyjafjallajökull, Global Issues, Luis Lobo Guerrero, Peter Adey, Political Geography, Ryanair, Social Geography on February 1, 2013 by catherinewaite. The announcement last week that the music retailer HMV had been placed into administration stimulated many debates and asked many questions about contemporary society. In the words of the BBC the potential loss of HMV would leave a “social gap” on the high street, as one of the few remaining stores where people, stereotypically men, could go to take refuge and browse. 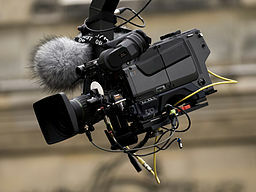 The British media also considered the views of those artists who make up the music industry and were traditionally reliant on retailers such as HMV to make a living. Were the chain to disappear from the high street then given the sparse locations of independent music specialists it would leave many towns without a dedicated music store, a situation that was lamented by the band ‘Everything, Everything’ as well as many other artists. Beyond the obvious spatial changes to the high streets the closure of HMV would have near enough signalled the physical end of the music industry. 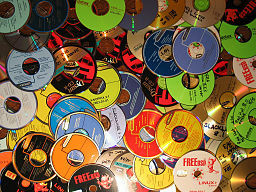 Already a significant amount of music is downloaded both legally and illegally from the internet, and the loss of HMV would have left only shops such as Asda and Tesco selling any CDs in most towns. Whilst it has now been announced that HMV has been saved from closure, the debates and issues that have been raised over the last week about the end of the physicality of the music industry, are important considerations as society becomes increasingly dependent on the internet. As this continues, and it is hard to see an alternative pathway, it is likely that it is not only the music industry that may lose its physicality. From this case study example of HMV and the music industry it is clear that many of the key issues are geographical in nature. Research into the production and consumption of music has been the focus of a number of recent studies published in Geography Compass and Area. Similarly the changes to the urban landscape, impacts of the financial crisis and social change are all key research topics in geography. This diverse range of research subjects and current affairs can all be seen to be brought together by geography. This entry was posted in Geography Compass and tagged Allan Watson, AMC Brandellero, BBC Radio 1, Christoph Mager, Cultural Geography, digital age, Economic Geography, Everything Everything, Global Music Industry, HMV, K Pfeffer, Michael Hoyler, Newsbeat, Social Geography, Tariq Jazeel on January 22, 2013 by catherinewaite. 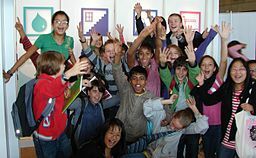 “Geography is a great adventure” is the widely quoted opinion of the Royal Geographical Society (with IBG)’s out-going President, Michael Palin. The discipline has long been associated with exploration and expeditions have taken place for hundreds of years in the pursuit of new geographical and scientific knowledge. This association is just as relevant now as it was, for example, in the late 15th Century when Christopher Columbus first sailed to the Americas. December 6th 2012 saw the start of what has been described as “The Last Great Polar Challenge”, an expedition by Sir Ranulph Fiennes and a team of five other explorers who hope to cross Antarctica, a journey of 2,000miles, during the Antarctic winter. This trip is not simply an adventure and a chance to conquer this polar challenge. The team are also running a major fundraising initiative for the ‘Seeing is Believing’ charity who help fight avoidable blindness across the world. However, perhaps the most important aspect of this event is its scientific potential. As soon as the expedition’s ship left from London’s Tower Bridge bound for Antarctica, data gathering commenced. In the course of the journey the team hope to collect data on oceanography, meteorology and marine biology. On arrival in Antarctica the extreme conditions will test the existing knowledge and scientific expertise that was required to prepare the equipment for this expedition, as the team will experience temperatures as low as -90oC and most of the trek will take place in complete darkness. Yet, the trip also provides a unique opportunity to collect data from locations previously inaccessible to humans and it is hoped the data set will include information on the true surface-shape of the ice sheet, the composition of the snow and ice, atmospheric dynamics over the ice and any bacterial life that exists at the heart of Antarctica. It is clear that this is very much an adventure, yet one that is accompanied by the opportunity for ground-breaking research. This relationship between expeditions, exploration, science and education is one that has been recently discussed in Couper and Ansell’s (2012) paper in Area entitled “Researching the outdoors: exploring the unsettled frontier between science and adventure”. Fieldwork and outdoor research is likely to continue to be at the forefront of the quest for new geographical knowledge and whilst it may not be possible to classify all fieldwork as adventurous or an expedition, this trip by Sir Ranulph Fiennes and his team most certainly is! This entry was posted in Area and tagged Antarctic, Biogeography, Climatology, Earth Observation, Global Issues, Louise Ansell, Michael Palin, Pauline Couper, Polar meteorology, Ranulph Fiennes, Royal Geographical Society (with the Institute of British Geographers), Seeing is Believing on December 10, 2012 by catherinewaite. Over the last week the media has been dominated by coverage of the conflict and subsequent ceasefire in Gaza between Israel and the Palestinian group Hamas. As with numerous contemporary matters, geographers and academics from a wide range of disciplines have discussed and debated the complex issues that exist in this region. One example of such work can be found in Mavroudi’s (2012) recent publication in Transactions of the Institute of British Geographers. Mavroudi acknowledges that the contested history of the region means “the focus on negative separations and violent conflicts can make thinking hopefully about the region difficult”. Yet, the purpose of her work is to draw on and contribute to work on the geographies of Palestine-Israel alongside geographical work on hope, film and performance. Through the analysis of two films, the use, depiction and symbolism associated with space is discussed. Both films indicate a need to conceptualise and imagine space in a more positive way, which has the potential to assist in connecting Palestinians and Israelis, by helping create shared identities, hope, and in the long-term, conflict resolution. In doing this, there is potential to alter perceptions of the ‘Other’ and the ‘us/them’ relationship, which should further assist future change. This paper demonstrates the unusual ways in which geographical research can contribute to contemporary issues. At the present time, where the problems faced by this region are highlighted daily in the media, it is important to recognise the potential of geography in promoting methods such as performance, theatre and film in (re)connecting divided societies. This entry was posted in Transactions of the Institute of British Geographers and tagged Elizabeth Mavroudi, Geographies of Film, Geographies of Hope, Geographies of Palestine-Israel, Geographies of Performance, Global Issues on November 22, 2012 by catherinewaite.